Camp Gan Israel of Parksville, NY has announced their head staff for the upcoming summer of 5779. 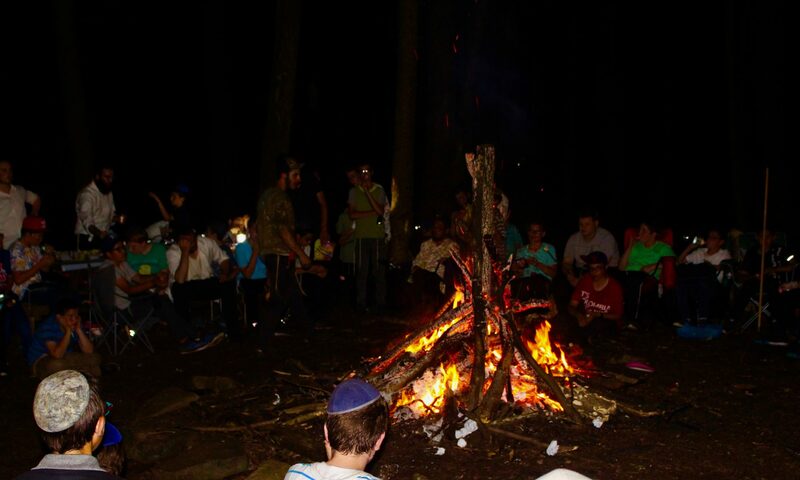 “In what promises to be an extraordinary year, the camp in the Catskills is primed to build on the more than 60 years of experience and tradition, to deliver a carefully crafted camp experience imbued with Chassidishkeit and fun,” directors said. The head staff are a vital part of putting together an experience of the highest Chassidishe standards, along with the most exhilarating and exciting activities thereby following the Rebbes directive as to what Gan Yisroel should be. The directorship at CGINY Special for the summer of 5779, has built an all new N.O.D. (3rd grade) program. Special activities and trips geared for the young campers are all part of this new program. To lead and give extra attention to the campers in this program, Gan Yisroel hired Mendy Lepkivker of Crown Heights. These dedicated head staff have spent the past few weeks putting together the most devoted and energetic group of Chassidishe staff. This group will ensure that the summer of 5779 will be instilled with a Chayus and Geshmak for learning and Chassidishe conduct that will last a lifetime. We are delighted to inform you that the annual Gan Yisroel Parksville reunion will take place on January 17-11 Shevat, in Crown Heights. The reunion is a great opportunity for campers to meet old friends and staff and reminisce the amazing summer they had. The event will be held at Beis Rivka, 310 Crown Street, from 6:30pm – 8:30pm. The boys will be treated to a milchik supper of pizza, fries and live music followed by a performance from guest entertainer Marc Salem – a world renowned mentalist. Additionally, all those who attend will receive a personal Gan Yisroel souvenir. Please RSVP attendance by email to Rabbi Futerfas. A minimal fee of $10 will be required at the door. We are sure that this will be a memorable experience for the campers and we look forward to seeing all of them with their great energy and chayus. Registration will be open shortly. The spirit of Gan Yisroel was reignited this past Sunday in Miami as Gan Yisroel New York celebrated its first ever reunion in Florida. Over 60 boys attended the event which was led by a number of staff and head staff from the summer who flew in especially for the reunion. Following an immensely successful summer in which many boys from Florida took part, the camp director, Rabbi Yossi Futerfas, decided that Gan Yisroel would make a special reunion for these boys in addition to the annual reunion that takes place in New York. The idea was to give these kids a fun and exciting day and let them relive some memories of the delightful summer they enjoyed. The fun filled program kicked off at the The Shul of Bal Harbor where the boys were treated to a variety of snacks and refreshments as they chatted with friends and staff from the summer. The boys then boarded the waiting busses and headed to a local bowling alley for an hour of competitive bowling. Such activity in the heat of Miami called for something refreshing so the busses made a stop at a 7 eleven where, with slurpees in hand, the group posed for a grand picture. Arriving back at The Shul, the boys davened an energized mincha and said the 12 pesukim in true Gan Yisroel style. A dairy supper was then served in the main hall of The Shul which had been beautifully decorated for the event. While the boys munched on their pizza, they watched a collection of highlights and special moments from the summer, all the while trying to find themselves in the videos. Camp songs were sung and memories were shared creating a palpable energy in the room that even some parents watching on the side were moved from. The event ended off with a grand raffle on a number of prizes and a distribution of chanukah gelt for each boy which saw many happy smiles going home that evening. Many parents shared amazing feedback about the event and expressed their thanks to the camp for making the effort to give their children this experience in their hometown. Many thanks to The Shul of Bal Harbor for hosting the event. The Gan Yisroel New York reunion in New York will be taking place iy”h around Yud Shevat. The exact date and location will be announced in the near future. We hope that this event brought much Nachas to the Rebbe and will hasten the coming of Moshiach speedily in our days, Amen!